While compact, lightweight, rugged and durable, the Sumitomo T-71C+ provides faster splicing and reduced heat shrink time. The T-71C+ achieves a 6-second splice time and 14-second heat shrink time in Quick Mode. Also, the T-71C+ continues to carry Sumitomo Electric’s original “two independent heaters” and “touch screen control panel” for simple and productive operation. 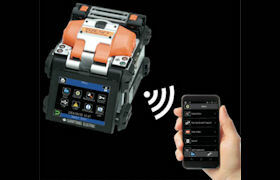 Furthermore, the T-71C+ provides users with Wireless LAN connectivity to improve productivity and asset management. 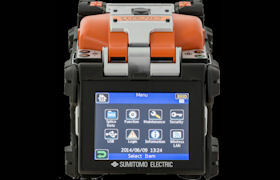 The Wireless LAN enabled a connection between the T-71C+ and Sumitomo Electric’s SumiCloudTM system via an Android smart-phone App. With the dedicated smart-phone App., the T-71C+ user can enjoy a wide range of benefits; including User Help Tools and Splice Data Management services.